twisting wires ten hours a day. could lay siege to fingers too. under the fluorescent buzz of bathroom lights. and return to my geometry. Shaindel Beers is a Professor of English at Blue Mountain Community College in Pendleton, Oregon; the Poetry Editor of Contrary; and the host of talk radio’s Translated By. Her work has appeared in numerous journals and anthologies. 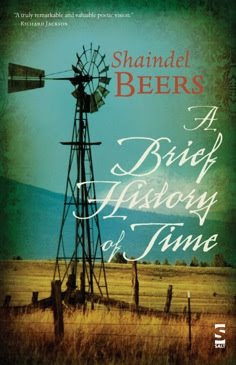 A Brief History of Time, her first book of poetry, is available here.